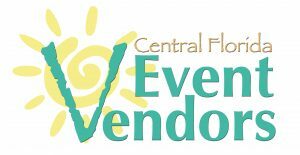 Local artists from Central Florida, food vendors, live music, and more in downtown Winter Haven on April 20 from 10a – 4p. It was a big tree in the backyard of Shawn Meade’s home in Lakeland and some paints she found in her husband’s box of old high school memorabilia that got her started on a hobby that launched what could be a career. The possibility of that career can be traced to the 863 Local FiArt Fest, a yearly Winter Haven event sponsored by Polk County’s only Fiat dealership (hence the name “FiArt”), with dozens of local artists from Central Florida who show and sell their art, giving them an opportunity that usually isn’t available to smaller artists. Shawn says she and her husband, James, were spring cleaning about five years ago, one of them outside and one inside, and they found a big queen husk from a tree that she thought was beautiful. They stored it behind a shed. Later she found paint in a box with her husband’s old high school collection. She added water, painted fish on the husk and it came out better than she thought. For those delving into the arts, making money on it can be tough. There are not a lot of places where their work can be displayed and sold as venues normally accept more accomplished and well-known artists. Local artists are often left out to dry with no place willing to accept them as vendors. The Meades, which now have a company called Treefish, participated in a few local venues including the Bloomin’ Arts Festival and SyFy Saturday in Bartow, were told about the 863 Local FiArt Fest. They have participated in it every year and plan to go back this year. Meade credits this opportunity with giving Treefish a tremendous lift. And while their artwork sells well, Sergio Cruz, the event manager and publisher of The 863 Magazine, says their work is unique. The Meades have the potential to make this a full-time business. Growing each year and becoming well known in the state, this year’s FiArt Fest could draw more than 90 local artists to Central Park in Winter Haven. Taking place from 10 a.m. to 4 p.m. the free festival will feature art for kids, live music on acoustic guitar and saxophone, vendors selling a myriad of products, including handmade jewelry, candles, body products, tattoos, antique furniture and more. But most important, Cruz says, the artwork is all from local artists. “That’s what is unique, FiArt features only artists from Central Florida,” Cruz says. In his work to market this event it has grown in artists and attendance each year, Cruz says this is probably one of the largest local art shows of its kind in the country. He also says he and those who pick art for the show don’t just let in anyone. To take it one step further, the artists are judged and cash prizes are given away for first, second and third places, as well as for honorable mentions. That is headed up by title sponsor, Alfa Romeo FIAT of Winter Haven. First place will win $750, second place $500, third place $250 and the People’s Choice, sponsored by The 863 Magazine, will win $100. Also, five honorable mentions will be named for $50 prizes. That is sponsored by Caliber Coffee. The growth of the event is something that Alfa Romeo FIAT of Winter Haven President Alex Mahalak noted is really something. “When we came up with it originally, it was just our dealership and it has grown from that,” he says. In the first two years, it was held at the car dealership and it featured some local schools and some artists and a Fiat category, he says. “Now it’s evolved to local artists and we just watched it grow,” he says, adding art and community is a big part of the car dealership’s clientele with the Fiat being such a unique car with so many different colors. Among those best artists is Tammy Archer, who has won prize money in each of the first four years she participated at FiArt. In the first year Archer won first place. She also won first place last year and won a second place and an honorable mention in the two other years. Archer’s art is a lot of water color with gouache though she works on other types as well. She started painting as a hobby after she moved to Florida in 2003. The fact that her art has attained a following surprises her. “A lot were receptive for my work and style,” she says. She says she doesn’t expect to get rich from this, but she derives great satisfaction from what she’s done as well as what FiArt has provided for her. As a result, she started a site on eBay and has sold more than 1,200 pieces worldwide. The former post office employee now has her own business, Archer’s Art, LLC. Cruz believes there are many out there with talent and FiArt is bringing them into the light. As well as painters, there will be photographers, sculptors, jewelers, and potters at FiArt Fest, just to name a few. There is something else people can keep in mind about the FiArt Fest, the prices to buy this work won’t necessarily cost an arm and leg. Meade says their art from husks and palm fronds, which can take a couple of weeks to do from start to finish, runs from about $75 for the smaller pieces and up to $1,600, for example, for one of the biggest octopuses. Still working their full-time jobs – Shawn works for Zephyrhills Water and James for a trucking company – would love to open a store, but that would take a lot of effort especially with two artists. To get further into the hobby that is turning into a good income, the Meades have expanded their work. When Shawn and James got married recently they made all the décor for the themed “steampunk” wedding. 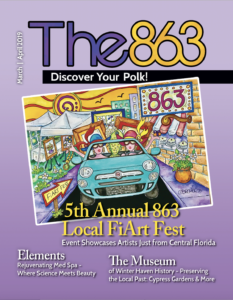 For more info about the 863 Local FiArt Fest visit 863LocalFiArtFest.com.